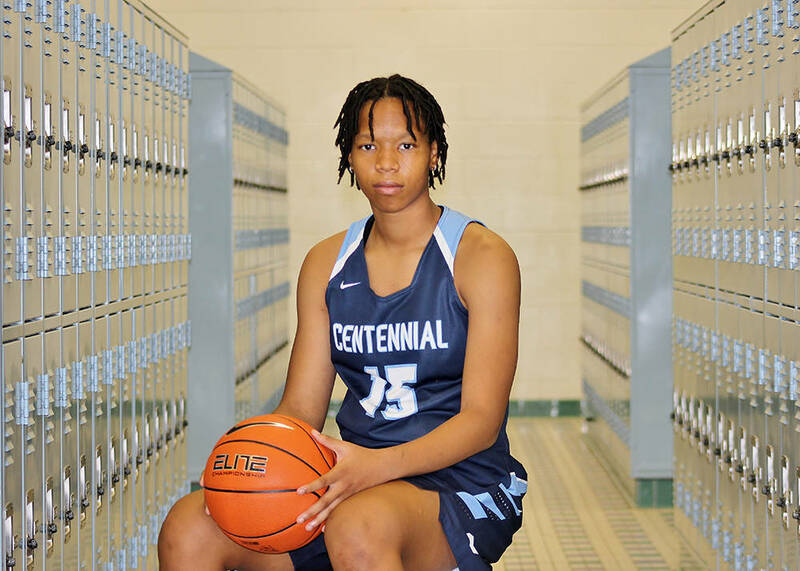 Centennial's Melanie Isbell is a member of the Nevada Preps all-state girls basketball team. 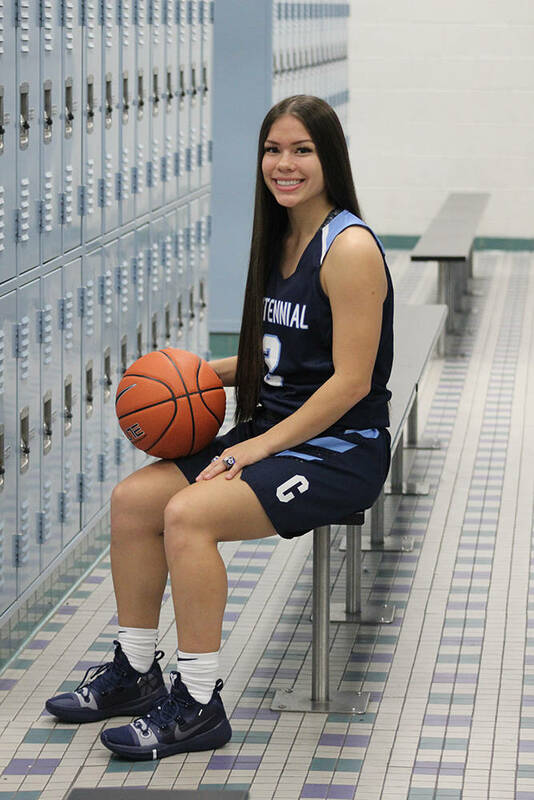 The sophomore averaged 12.5 points, 4.3 rebounds, 1.5 assists and 2.6 steals en route-to Northwest League co-MVP honors, and helped the Bulldogs to their fifth consecutive Class 4A state championship and a berth at GEICO Nationals. 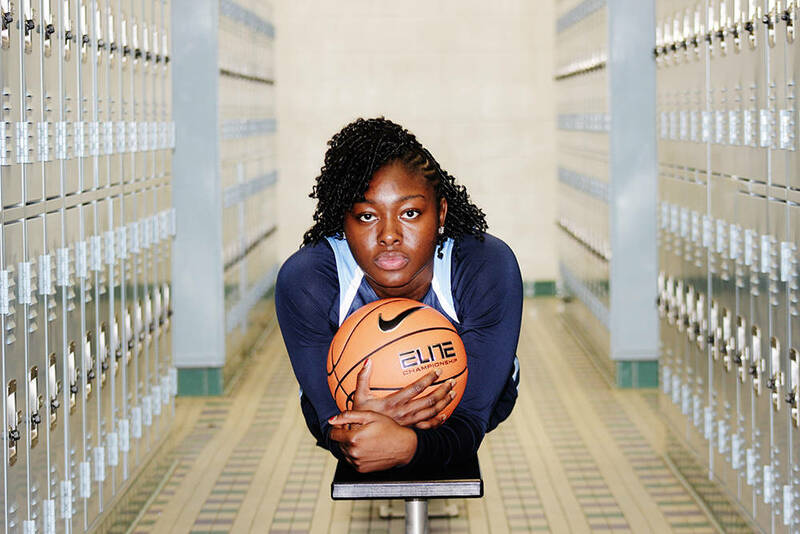 The senior averaged 9.5 points, 3.1 rebounds, 3.2 assists and 2.5 steals while helping the Bulldogs to their fifth consecutive Class 4A state championship and a berth at GEICO Nationals. She is signed to UNLV. 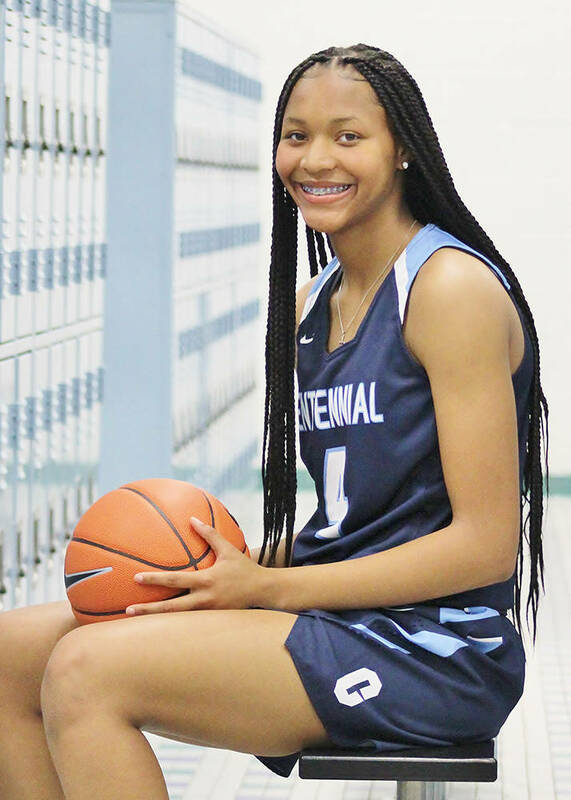 The junior averaged 10 points, 5.8 rebounds, 1.4 assists and 2.4 steals while helping the Bulldogs to their fifth consecutive Class 4A state championship and a berth at GEICO Nationals. The junior averaged 7.5 points, 3.7 rebounds, 1.5 assists and 1.4 steals while helping the Bulldogs to their fifth consecutive Class 4A state championship and a berth at GEICO Nationals. She is committed to UNLV. 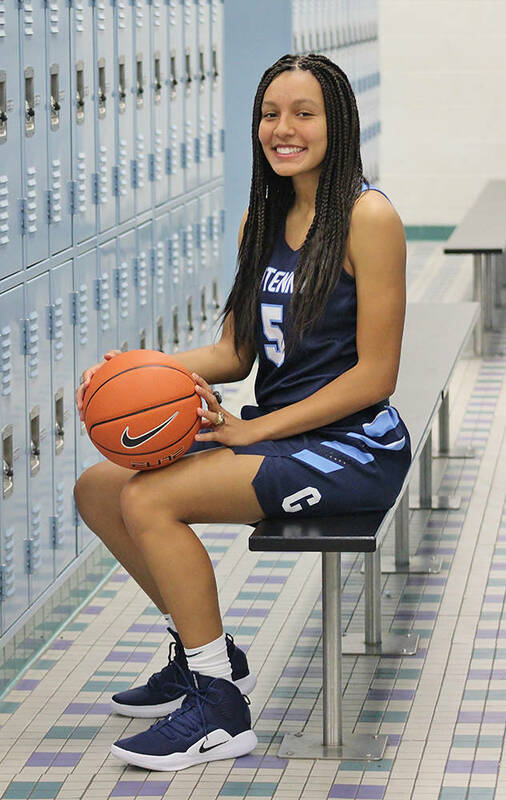 The senior averaged 11.5 points, 10.2 rebounds, 2.1 assists and 2.5 steals en route-to Northwest League co-MVP honors, and helped the Bulldogs to their fifth consecutive Class 4A state championship and a berth at GEICO Nationals. She is signed to Arizona State. The junior averaged 11.1 points, 6.8 rebounds and 2.1 steals en route to Southwest League MVP honors, and helped the Diamondbacks reach the Class 4A state semifinals. The senior averaged 21.4 points, 7.3 rebounds and 3.4 steals to earn High Desert League Player of the Year honors, and helped the Huskies reach the Class 4A state tournament. She is signed to New Mexico for volleyball. 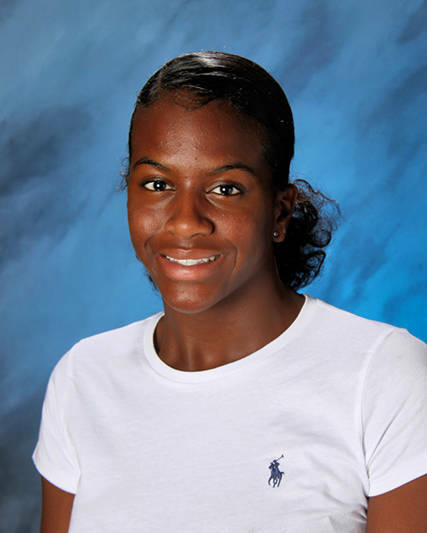 The junior averaged 8.4 points, 6.4 rebounds and 1.4 steals for the Class 4A state champions. 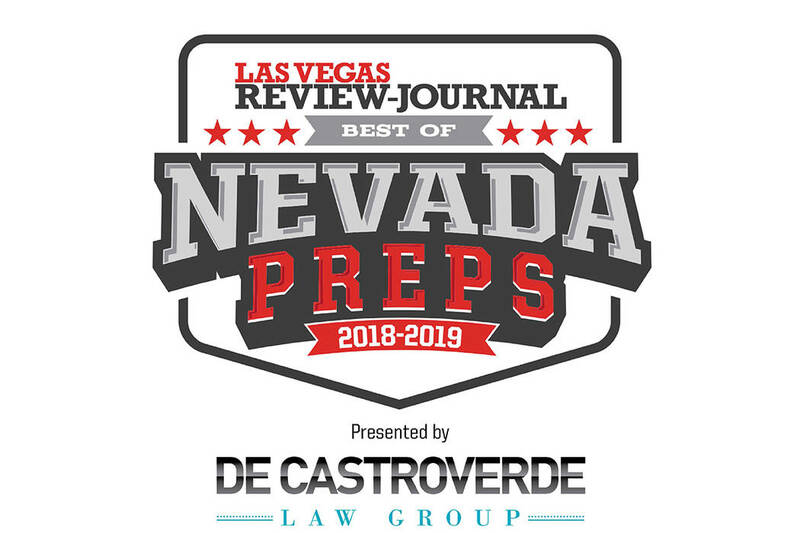 The senior averaged 27.2 points to lead the Las Vegas Valley in scoring for a second consecutive season, and added 10.6 rebounds per game for the Blue Knights. The senior came off the bench to average 5.0 points, 2.1 rebounds, 1.3 assists and 1.0 steals. She is signed to Youngstown State. The junior averaged 17.1 points, 6.8 rebounds and 3.5 steals to earn Sierra League Player of the Year honors. The senior averaged 4.8 points, 2.1 rebounds, 1.5 assists and 2.1 steals off the bench for the Class 4A state champs. She is signed to Chicago State. The senior averaged 16.7 points, 4.6 rebounds and 3.3 steals, and helped the Pirates reach the Class 3A state championship game. The junior averaged 14.4 points, 5.5 rebounds and 4.5 steals to earn Northeast League MVP honors, and helped the Pioneers reach the Class 4A state tournament. The senior averaged 10 points, 6.0 rebounds and 1.5 assists, and helped the Gaels reach the Class 4A state championship game. She is signed to UC-Riverside. The senior averaged 13.9 points, 7.9 rebounds, 4.7 assists and 3.4 steals, and helped the Greenwave win the Class 3A state championship. The senior averaged 16.1 points, 7.8 rebounds and 1.7 assists per game, and helped the Greenwave win the Class 3A state championship. The senior averaged 8.8 points, 9.8 rebounds, 2.3 steals and 2.5 blocks for the Grizzlies, who finished with a 21-7 record. Weitz guided the Bulldogs to a fifth consecutive Class 4A state title and a top-5 national ranking. Centennial will make its first appearance in the GEICO Nationals.